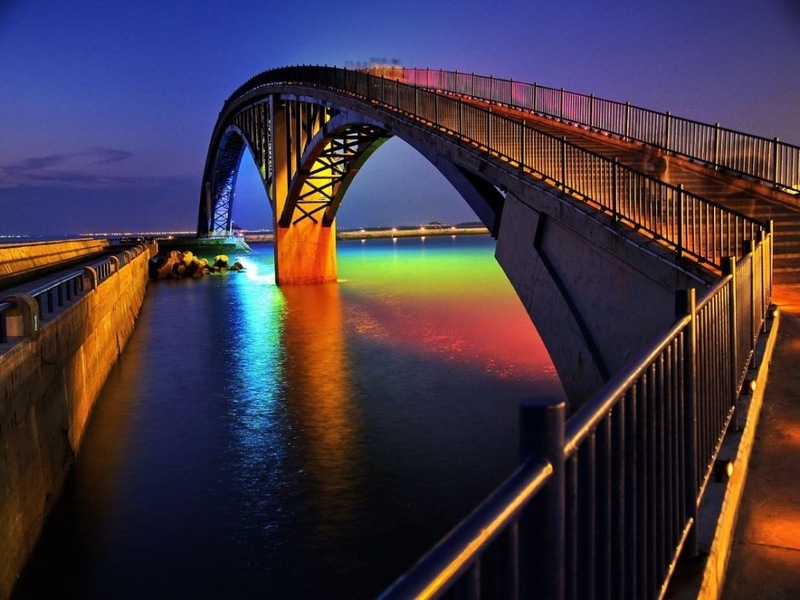 Check out this awesome “Xiying Rainbow Bridge” — is an elevated pedestrian walkway, The bridge is lined with a thin neon band that reflects a rainbow onto the water’s surface below at night. 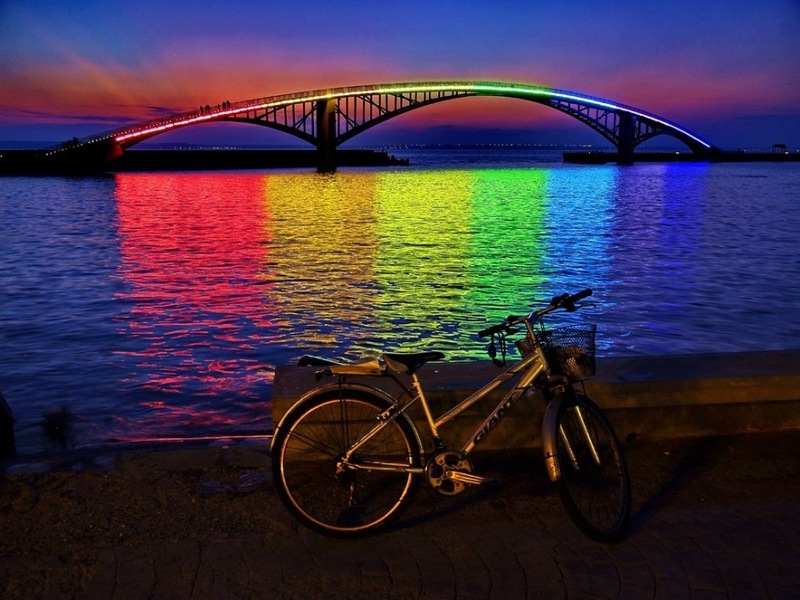 and it’s located in Magong, Penghu County in Taiwan. Magnificent!